Crowds stoll along the east side of the 10-acre Pioneer Park for the annual Downtown Farmers Market in Salt Lake City. Now in its 24th year. 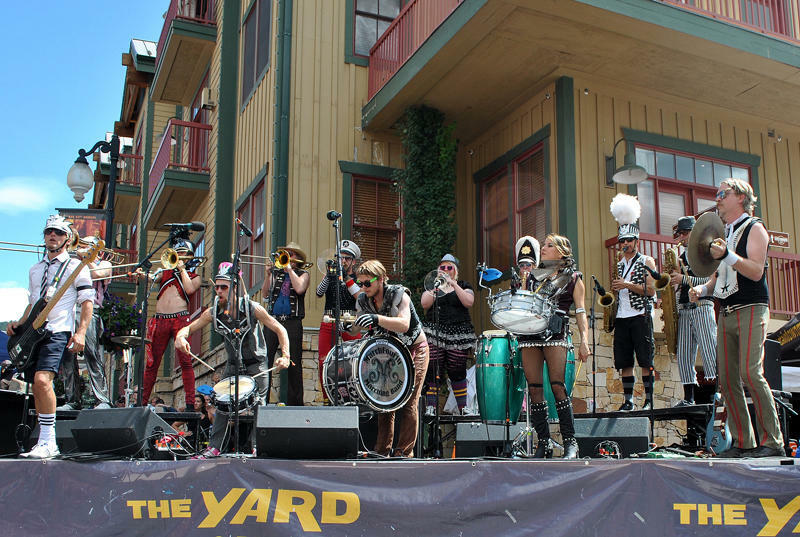 Fun Band on Park City's Main Street for the Annual Park Silly Sunday Market on through September 20th. The outdoor market season is here. The Park Silly Sunday Market opens this Sunday with the Salt Lake City Downtown Farmers Market following on its heels next Saturday the 13th. The Park Silly event runs 10 to 5 Sundays through September 20th. 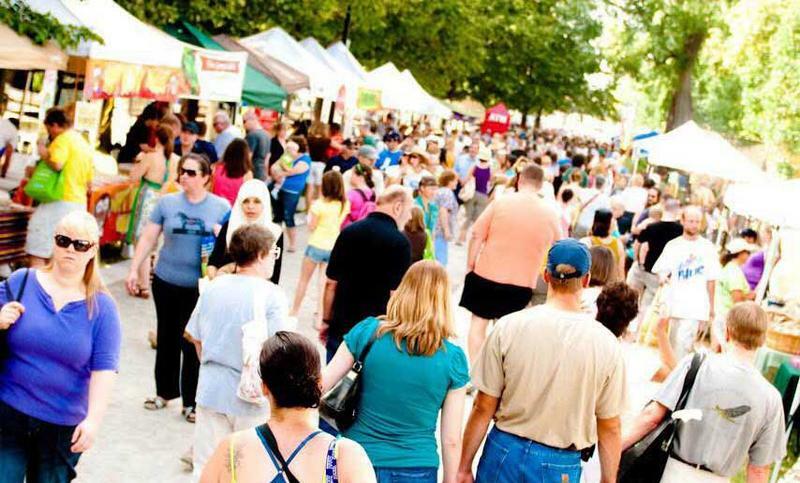 It features vendors of local and regional crafts, roaming performers, musicians, and kid’s activities on a stretch of lower Main Street. The Downtown Farmers Market is run by the Downtown Alliance in Salt Lake City and opens next Saturday. Kim Angeli is the special events coordinator for the market. She says what started 24 years ago with four vendors is now a huge part of the city’s culture. Angeli says they’ve added an education station in the park with local experts demonstrating cooking and canning. “You should hope that when you come and shop at a farmers market that you’re learning something new all the time too,” says Angeli. The Downtown Farmers Market is open 8am to 2pm and runs Saturdays from June 13th through October at Pioneer Park between 3rd and 4th South off of 3rd West.